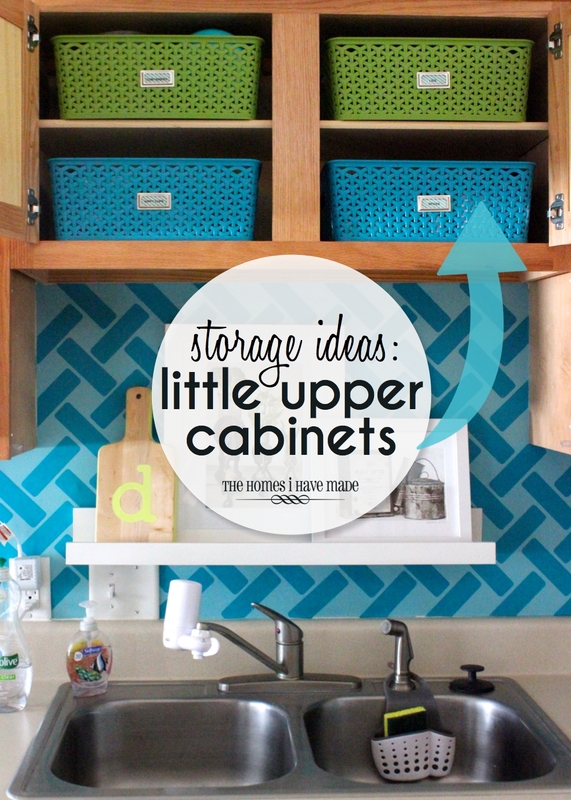 Today I am sharing a quick and simple storage solution for little upper cabinets. This has been working so well in our kitchen for over a year or so now, that I felt like I road tested it enough to finally snap some pictures and share it with you guys! 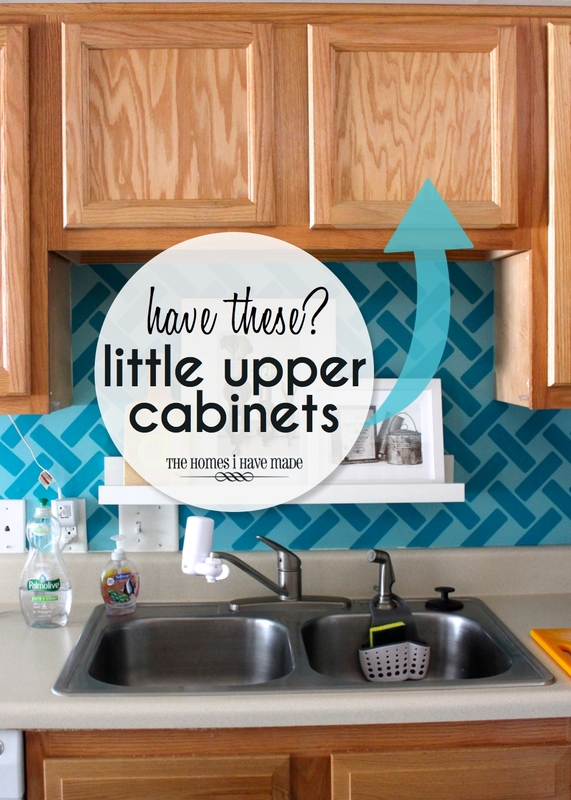 It’s about these little mini cabinets we have above our kitchen sink. 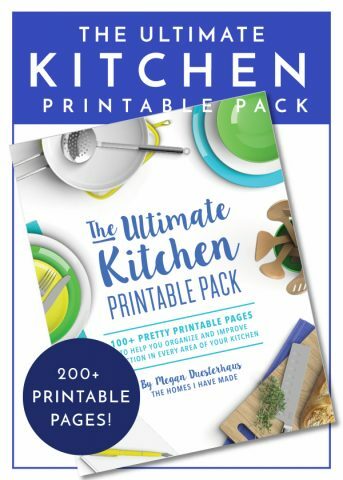 Do you have any of these in your kitchen? What do you have in yours’? 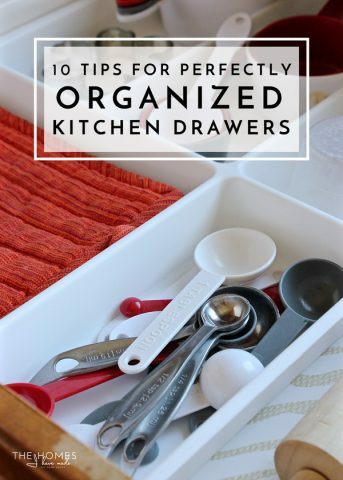 In previous homes, these cabinets were either stuffed with miscellaneous, unimportant, and forgotten items…or left completely empty due to their awkward size and location. 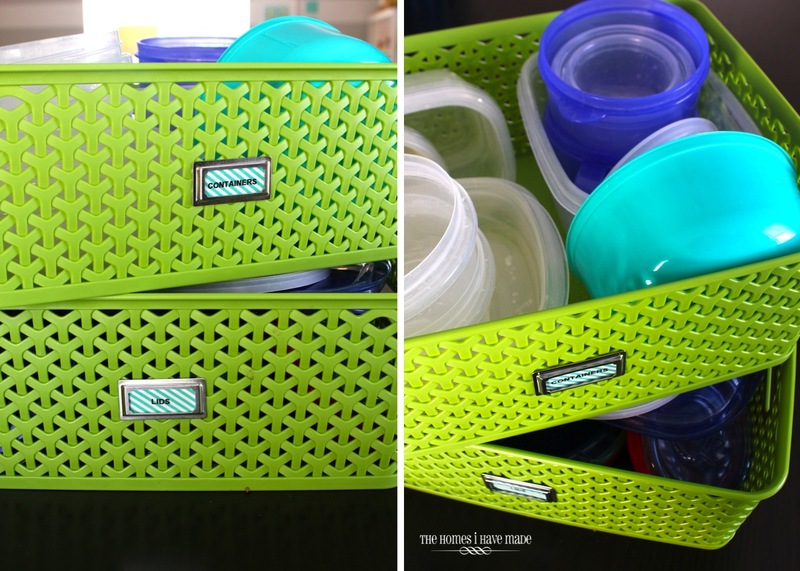 When trying to figure out how best to use these cabinets, I came across THESE Target baskets and they were a PEEEEEEFECT fit. Wanna see? 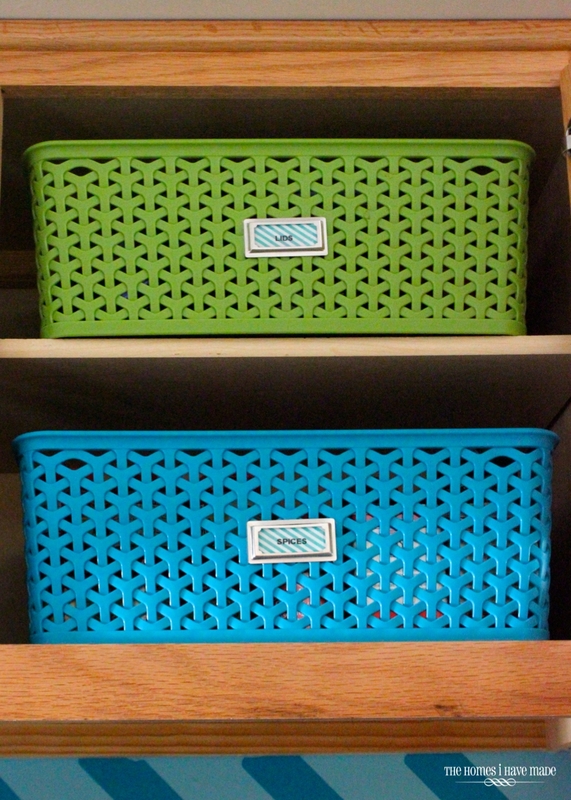 These baskets fit into the cabinet cubbies so perfectly that I now feel like I better use every inch of these shelves. And better yet? Things don’t get stuffed up in there, all the way in the back where I can’t see or reach them! 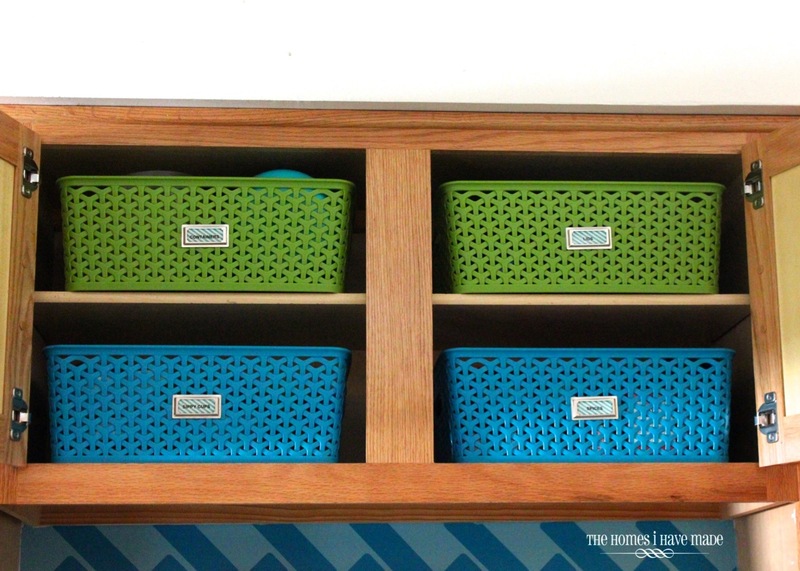 As a result, these baskets come down almost daily (if not several times a day) and are our most organized and useful nook in the kitchen! 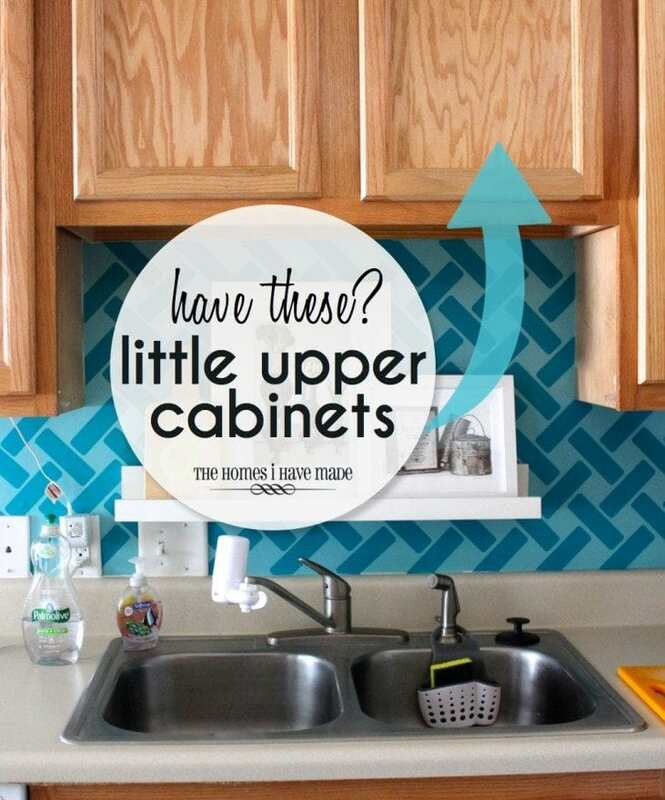 I would have never said that about these little cabinets before, that’s for sure! So what all do I have stored in these wide and long but short baskets? Let me show you!!!! First up, one of my favorite storage solutions in our entire house: Sippy Cups! No more of these cups rolling around, with mis-matched (or lost!) 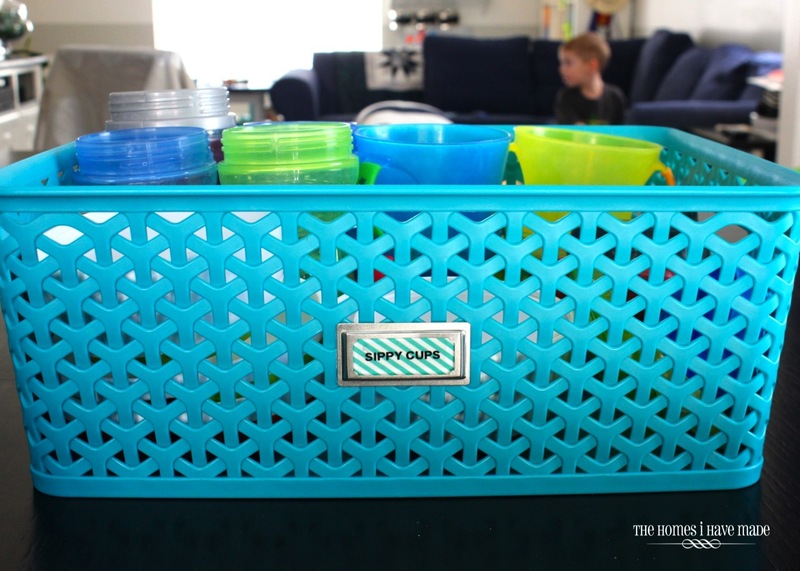 lids, within the ranks of our regular cups and glasses Now, all the sippy and snack cups are stored in one easy-to-grab basket. Positioned above the sink and dishwasher, this basket is easily grabbed half a dozen times a day! 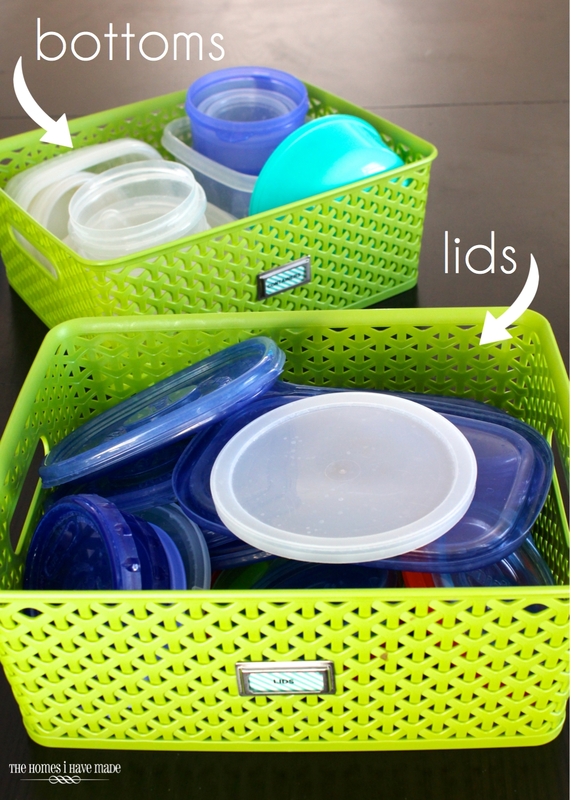 Two other baskets store our plastic tubs and lids for leftovers. I’m pretty excited about this one; truth be told, this is the main reason I am sharing this whole post with you today. 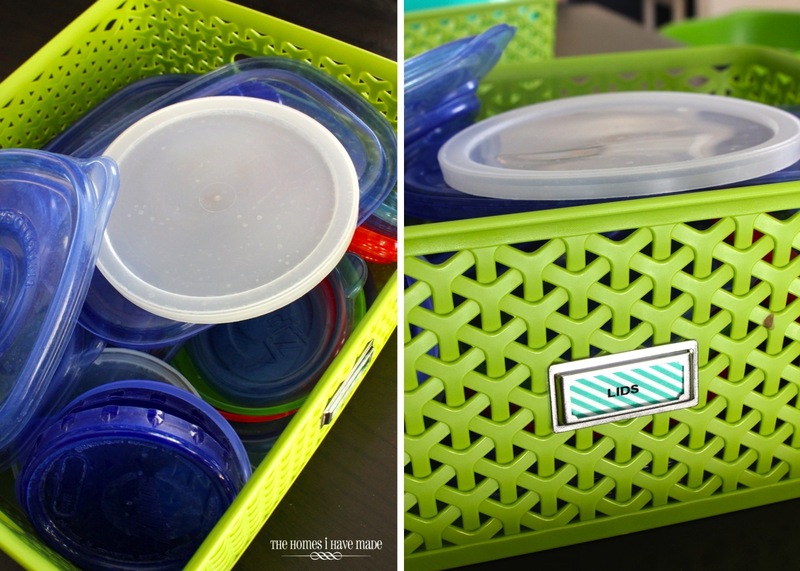 I had a “eureka!” moment while figuring out how to store my tupperware. 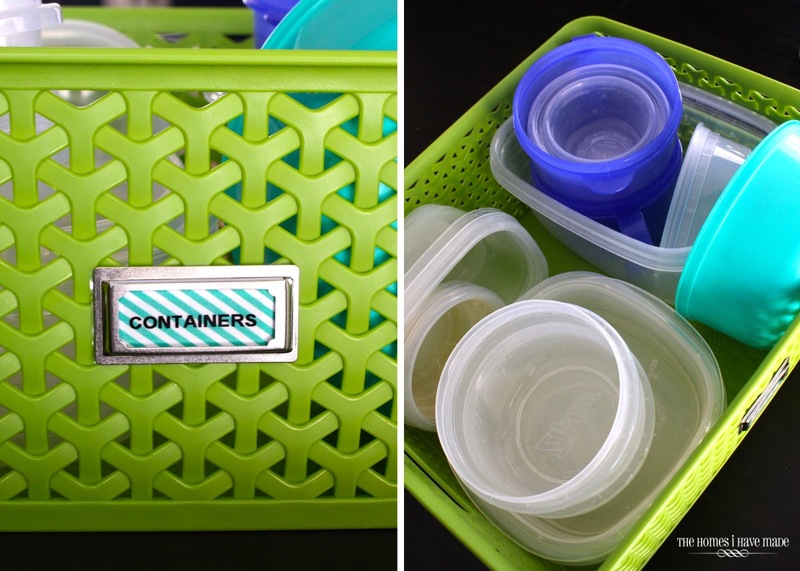 Instead of storing matching tops and bottoms together, I store the containers in one basket and the lids in the other. “Eureka!! !” right? Okay, maybe you’re not nearly as excited as I was. But hear me out! 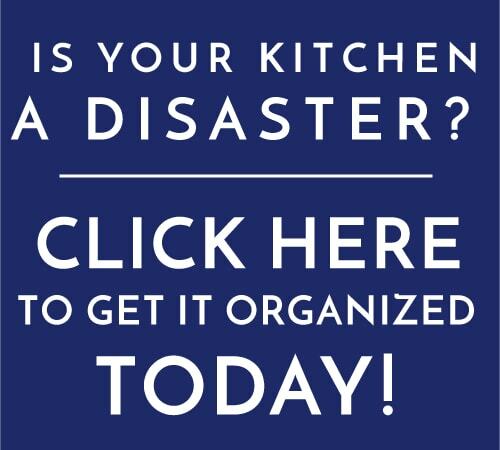 While this system does require me to pull down both baskets anytime I want to pack up leftovers, I no longer have mountains of containers that fall over every time I remove one. More so, empting the dishwasher and loading these baskets back up takes no time, rather than matching up and (precariously) placing stacks of tupperware onto shelves. One more disclaimer here. 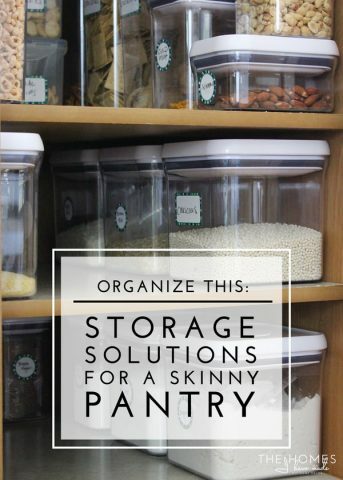 We don’t have tons of plastic containers, so this might not work for you if you have a large collection. 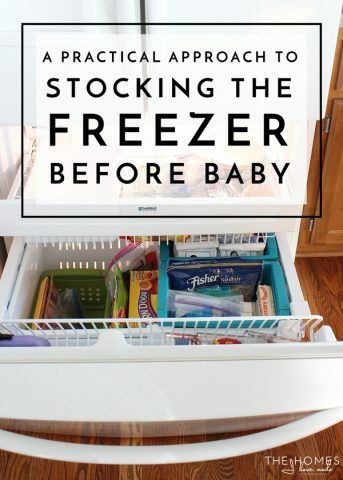 AND, I don’t keep really large containers, as I choose to store larger things either 1) in plastic bags that freeze flat or 2) glass dishes that can go right into the oven. I genuinely love having my containers stored like this. 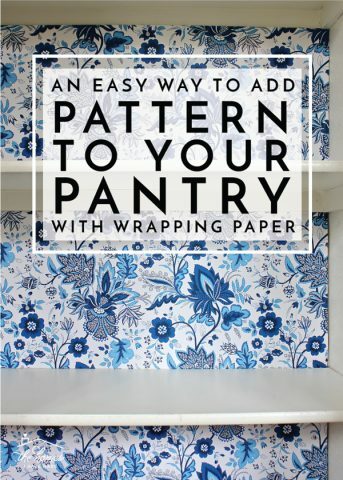 If you have a mountain of plasticware giving you a headache, give this method a try! My last basket stores our spices. 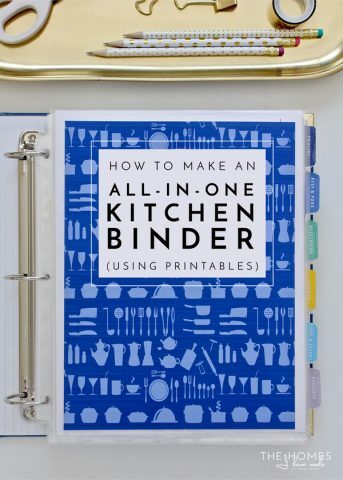 And you better believe that I spent months trying to come up with a better (and prettier!) 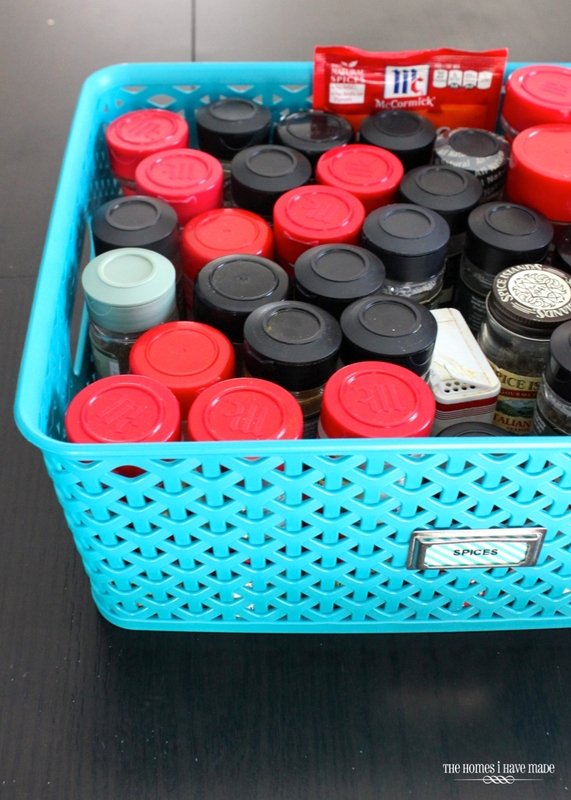 spice storage solution than this one. Here’s the thing though. 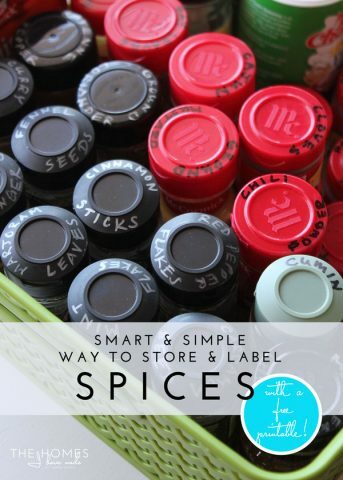 I stopped trying to figure out a better spice solution months ago when….this was working so well. 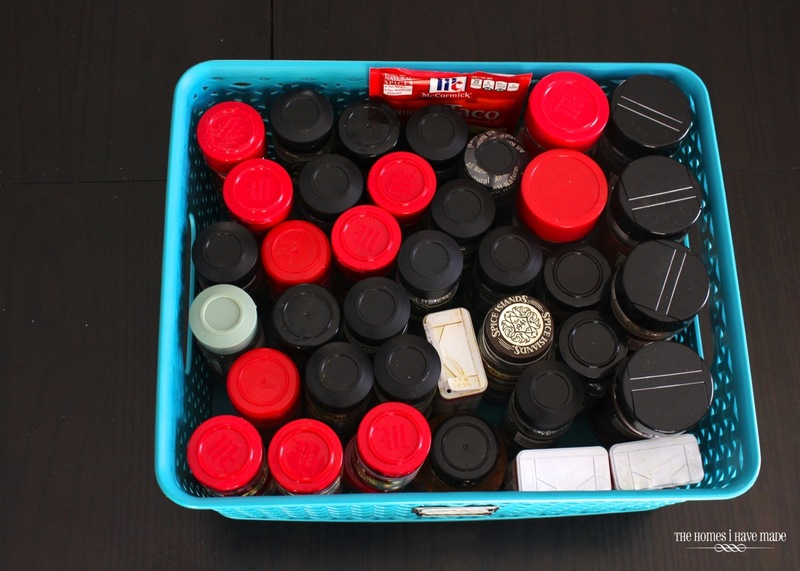 Admittedly, I could use some labels on the tops of the jars to prevent me from having to search through each bottle just to find the paprika; but otherwise, having all my spices in one easy-to-grab basket has been an awesome solution for our family. Again, I don’t have un-sturdy towers of spices toppling over each time I need one; they aren’t taking up precious shelf or cabinet space; and they are all in one, tidy location. This is just another one of those “give it a try” ideas if your current spice solution isn’t working. It’s working really, really well for us. However, just looking at these pictures is making me crazy for a prettier presentation. 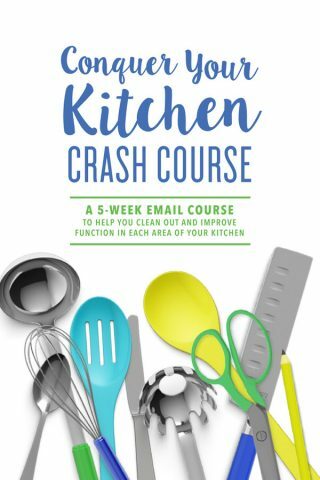 I haven’t given up yet – I might keep thinking on that one! 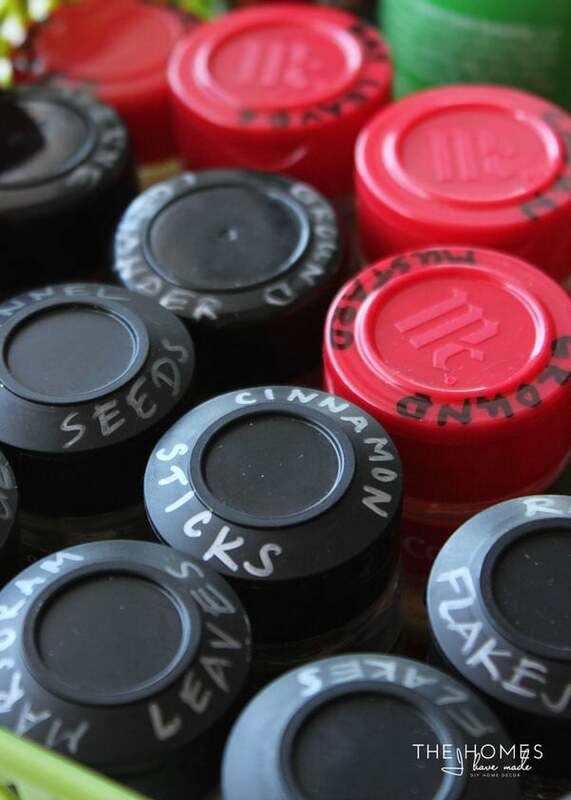 Psssst…I finally labeled all my spices and added them to a printable Spice Inventory sheet! Read more about it HERE. For a long time, these baskets weren’t labeled and I didn’t really have any trouble keeping them straight. But it has been easier for guests (and my husband!) to have them labeled. 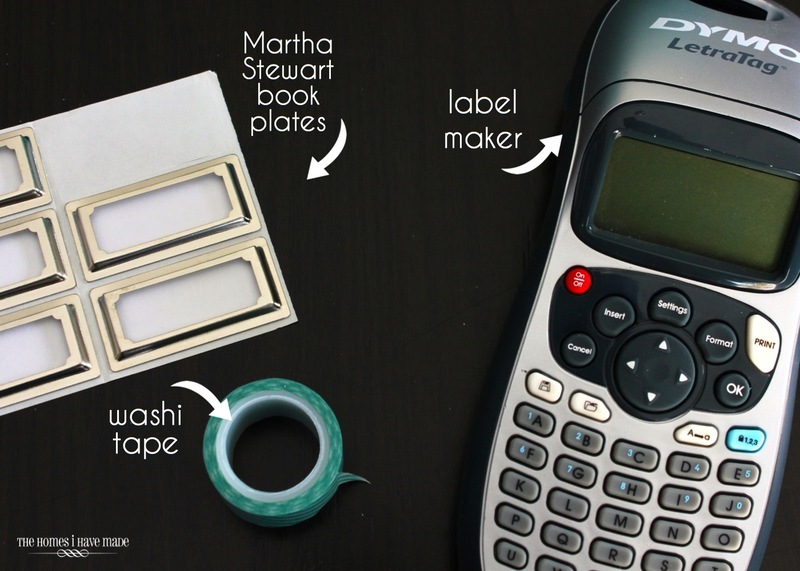 I took a cue from Jen and used some stick-on bookplates, washi tape, and a label maker to give each basket a simple little descriptor! 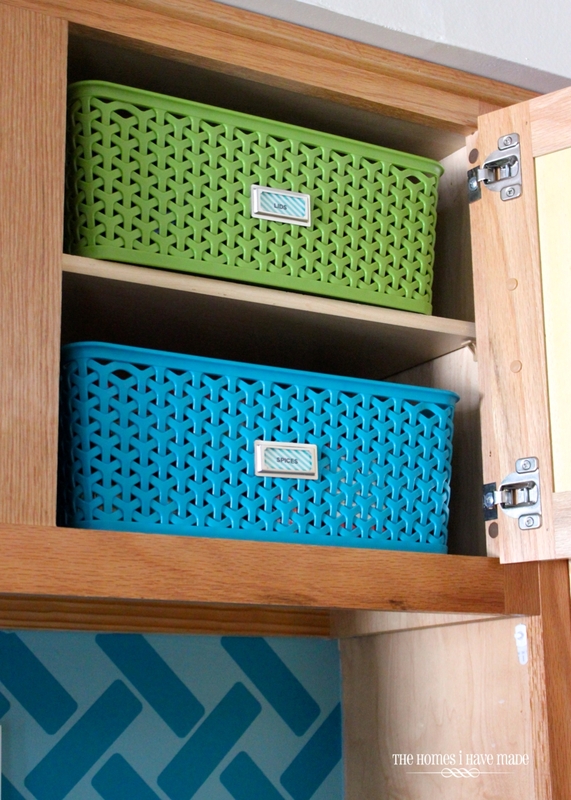 It’s like the baskets were made to fit these cabinets! Love! What do you think? 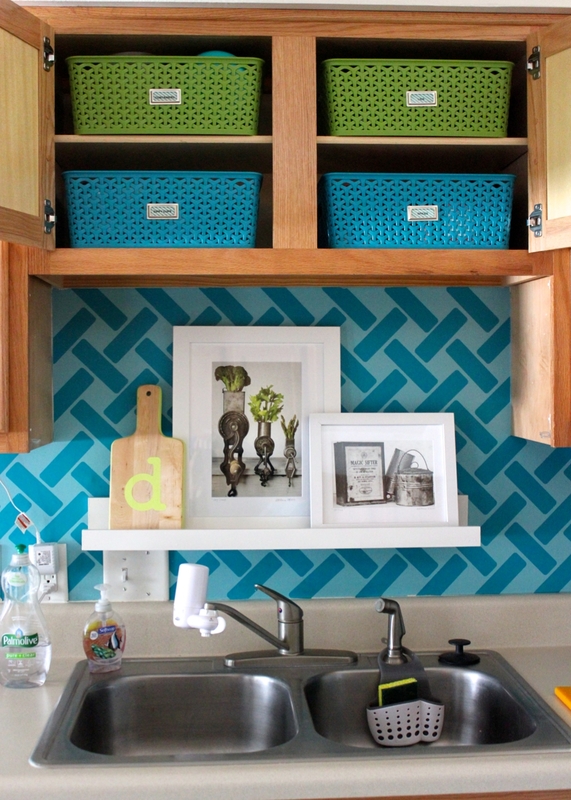 Do you have these kind of cabinets in your kitchen? 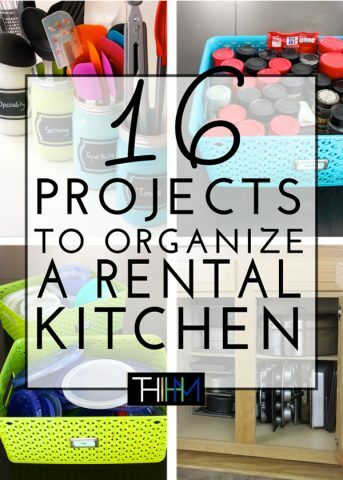 How do you keep them organized? Think you might give the basket idea a try? Products Featured In this Post!